How many times has someone said to you, practice your saxophone overtones? So you go to attempt to play them, but immediately get stuck. Certain pitches come out great but others are impossible. And then you start wondering why you are practicing them in the first place, other than you were told to do so. Playing saxophone overtones correctly will fill up your tone, strengthen your embouchure and expand your range, but only if done correctly. 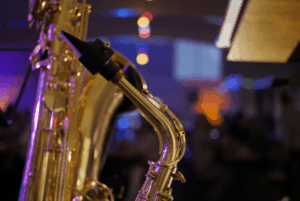 and answers to some common questions from saxophone players like you! In this lesson, you will find out how to get past those trouble spots using Donna's system for practicing. In this lesson, Donna answers subscriber questions about why we practice overtones and she gives more tips for playing them correctly. How's your progress with Jazz improvisation? Get a free video lesson with the next best step for you! Tell us a little about your playing by taking the free Quiz HERE, and you will get access to the free lesson.